If you are based in Henfield, West Sussex and looking for expert IT services, then Woodstock IT can support you and your technology in your time of need. We offer a range of residential and commercial IT solutions, from anti-virus protection to server maintenance. Based in Crawley and Horsham, Henfield is one of our core locations and we’re able to complete site visits or work remotely based on your needs. As a skilled team, we understand that computers, laptops and the internet are part of your everyday life in many different ways. We take advantage of what it can do, and rely on it when we need to get things done. However, not everyone knows how to fix things when it all goes wrong. That’s where we come in. As avid lovers of IT ourselves, we know the stress it can cause when your IT is not running smoothly. From corporate and small businesses to home and personal needs, we are willing and ready to help you out – whether you want ad hoc IT support or need to be fully supported. This way you can sit back, relax, and be more focused on what is important to you! Call today to speak to one of our team if you’re in Henfield or surrounding areas to see how we can help. We have been happily working with Woodstock IT for a number of years now. They have been able to provide us with an excellent level of support and service for any IT issues that may arise. As our business and IT requirements have grown, we have continued to receive an excellent level of support. Woodstock IT has become an integral part of our business and we would expect to work with them for many years to come. Do you need help with your IT but aren’t based in Henfield? It’s okay! We cover many different areas, including Guildford, Crawley, Horsham and more. Over 5,000 people live in Henfield, making it a thriving village that offers picturesque views of the South Downs. 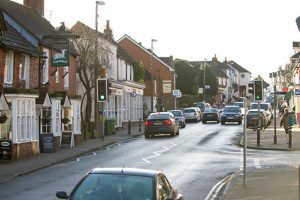 It’s a large village within the Horsham District. Being just 33 miles from London and 12 miles from Brighton, it’s between two major hubs of technology and digital innovation in the South East. Over the last 10 years we’ve worked with a number of businesses and homes in Henfield to speed up broadband, save lost files and improve connectivity and security. A scenic drive from our main offices in Horsham and Crawley, it’s an important location for our team and we’d love to hear from you and offer a no obligation quote for our services.